↑ Status as at: 07-11-2010 01:48:46 EDT, Chapter XXVI, Disarmament. un.org. Retrieved September 14, 2013. ↑ Organisation for the Prohibition of Chemical Weapons (home page). 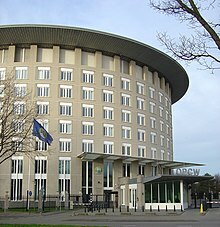 opcw.org. Retrieved September 14, 2013.